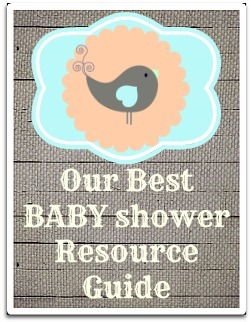 See the best baby shower supplies from Five fantastic, hostess approved, Online baby shower stores. If you’re in the midst of, “baby party planning”- You’re busy! If you’re nervous about the results- Don’t be! Posh, trendy, formal, casual, classic… It makes no difference; because now, you’ll have all the right stuff! When it comes to hosted events, party favors are, par for the chorus.They serve as the perfect sentiment of, thanks and good will for party guests. Plus, many of these trinkets make great baby shower decorations. Fun and silly games are often part of the day’s celebration, so you’re probably going to need some prizes. Favors happen to make an ideal award. When you want to make crafts, table decorations or other fun things, it’s nice to have reliable wholesale suppliers. Start by bookmarking, or sharing 5-10 of your favorite things. Take advantage of the interactive tools that are offered on each site. You can share your favorite finds with friends, and get some feedback too! Try to pick a specific theme. This will help narrow your shopping categories. Most of the baby shower supplies can be mixed, matched, and bundled into kits (that even include the thank you cards). 4 of the 5 stores offer, great articles and videos that give ideas on how to decorate with the supplies they sell. Best of all, the ideas aren’t complicated or difficult to do! Grab our auto-feeder for easy access to, better-babyshower-ideas for tips and advice.